Prepare Your Brookfield IL Home This Winter for Quick Spring Sales! Home Real Estate News Prepare Your Brookfield IL Home This Winter for Quick Spring Sales! When it comes to selling a home, few people are as ready as they think. If you’re considering moving in 2018, don’t wait for the New Year to ring in. Give yourself an action plan of simple steps to preparing your home slowly over the winter months, and reap the rewards of a hot Spring Real Estate Market! Unsure of where to start? Nancy Miller, who is a real estate broker partnering with Coldwell Banker Residential Brokerage in La Grange, IL prefers to give her clients time to get ready for the Spring Market. Simply, it’s better to chip away at the “to do” list of home preparation throughout the winter months, rather than attempting to get everything ready for your home’s future owners in a spontaneous will of effort. Nancy prefers to put a plan of action before you, so you can take steps toward the future sale of your home even while enjoying the holiday season. yes, I’m moving next year. I want to sell my Brookfield home in the spring. Where do I start? Clip, cut & pull back any unwanted vegetation. The fall is a wonderful time of year to start reworking your landscaping. Plants either dry up or go into hibernation in the Fall. This is exactly the time to uproot. Cut back and reduce unwanted bushes, trees, and more. While keeping a happy balance—everyone loves going green in the Spring Market—make sure potential buyers can see the house they’re purchasing. 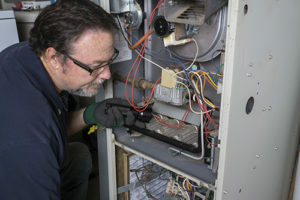 The grand change of seasons—fall and spring—are often the times of sales on AC and furnaces. If your AC has needed an update for awhile, consider taking advantage of sales. Your home’s buyer will appreciate a brand new AC unit come Spring. 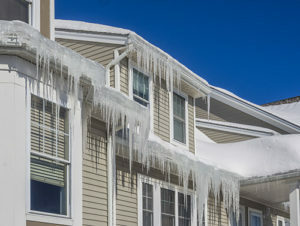 Getting ready for winter is also a perfect time to discover where you might be leaking green—dollars and cents—take time to go through every nook and cranny of your home to discover where you might be leaking valuable heat. Take some time to apply replacement caulk in those leaky corners. Not only will your winter utility bills reap the benefits this year, you can then pass on those savings to your buyer. In Brookfield, let alone Chicago, we know what it’s like to go through winter. Each and every layer we can put in place while still feeling our fingers, is a victory. What extra layers does your home have at it’s disposal? Draft blockers attached to doors. Installing gutter guards to prevent ice build up. Cover your AC unit & outdoor grill. Purchase outdoor salt while prices are reasonable. Do you need a new ice scraper or shovel? Have you had your furnace/air ducts serviced for the season? Remove the garden hose from your spigot, put the summer/fall toys and patio furniture away for the year. Considering selling your Brookfield, IL home? Depersonalize: just a little. If your home has a few photos, that’s fine. If your home has hundreds of photos throughout the home hung on the walls, your potential buyers may have a hard time imagining living there. Especially when feeling like a guest. Neutralize: you may appreciate the bold color choices you’ve made for your walls, or perhaps you’ve enjoyed the stylish wallpaper in your kitchen for years—chances are that your home’s buyer is having a hard time seeing past it. Even in a hot, active, bustling Spring Market of Brookfield, IL, bold décor may prevent a buyer from seeing the true value of your home. It’s time to take action, and make your home accessible to outsiders. Preparing for guests: probably the easiest to adapt to—simply remove the clutter. As the holidays pass and you start to put away decorations, continue putting a few extra items away in preparation for the various buyer showings that are bound to occur for your home. If you have flowing hardwood, consider removing rugs that break up the view. Do you have a center piece that holiday guests have to step around? Consider packing this special gem before you put your home up for sale. Do you love the chandelier that you chose for your dining room, and expect to take with you? Consider having a replacement installed before you market your home for sale. If you are considering selling your Brookfield, IL home, contact Nancy Miller of Coldwell Banker Residential Brokerage for more insights into preparing your home for sale. When the Spring Market is upon us, buyers move quickly. Don’t be one of the many that are left chasing the marketplace. Work through the winter months, step by step, in preparation of the spring market. Take some of the guess work out of the equation and call experienced real estate professional Nancy Miller of Coldwell Banker– La Grange.